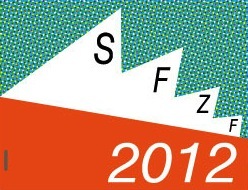 San Francisco Zine Fest this weekend! I will also have copies of Phase 7 and The Dvorak Zine, plus I will be tabling with the inimitable Tugboat Press. And that's just at table 56! There will also be gazillions of other amazing zines and minicomics at the event. I hope to see some of you there! On June 1st I drove cross country in a moving truck with my girlfriend Claire, our two rabbits and all of our stuff. Then, about a week later, I flew back to Vermont, where I have been all summer, to teach the CCS Summer Workshops. Well, this Sunday I finally fly back to Oakland for good, which means that Drop Target is going to become a bi-costal zine. Jon and I have worked out all the logistics (he'll handle printing, I'll handle shipping) and really, the zine is laid out digitally, so it will be a cinch to put the issues together from across the country. We still have another three issues planned, so fear not, Dear Readers, this move will not effect our publishing schedule (approx. two issues per year). The move will, however, mean that Jon and I will not be able to play pinball together any more, which is a real bummer. To counteract this situation, we decided to make one last trip to the Pinball Wizard Arcade together yesterday, even though we are both super busy right now. We had a nice long talk on the drive down and back (2+ hours each way) and played about six straight hours of pinball. By the time we left, our arms were like jelly. I especially enjoyed playing Space Shuttle, Black Knight 2000, Tommy, Addams Family and Tron. Sadly, the Episode I pin2k machine was out of commission, but it was still a great time. Sarah was getting all the machines ready for the 2nd Annual PWA tournament, which is this weekend. I can't speak highly enough of that arcade. It is truly one of the best. If you are in the area, you should swing by today to register for the tournament! Anyway, It's been a wild ride these past few years getting into pinball, buying a machine, learning how to fix it, and starting the zine. A big part of that fun was getting to share everything about this new hobby with a close friend. So I just wanted to say publicly, Jon, I'm going to miss you dude! Thanks for all the good times, and I look forward to working on whatever we come up with next! Yikes, two weeks without a post?! I can offer two explanations: 1) Jon and I have been super busy wrapping up the CCS Summer Workshops, which, although it is incredibly fun, is still technically our "work" 2) I have been busy posting pinball related stuff on other blogs! The first is a new comic strip I started over on our Stern Blog called "Flipper Funnies." I have brainstormed out a bunch of goofy pinball related gags, so I will be having a lot of fun with this in the weeks and months to come. The other is a recent pinball-related illustration that I painted for my illustration blog. Warning: it's kind of a bummer! 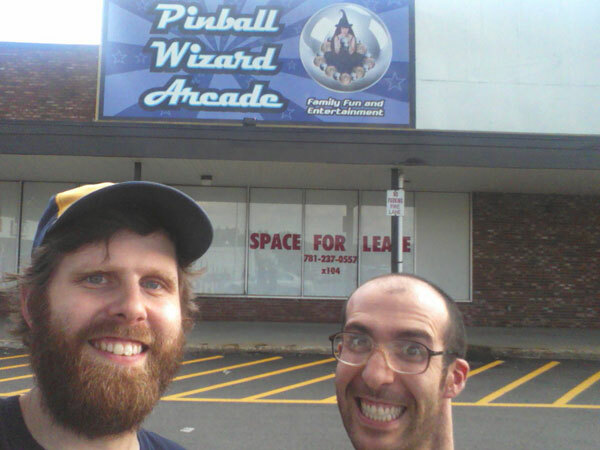 Fear not, dear readers, Jon and I have another pinball adventure planned for later this week, so I will dutifully report back with all the details. Until then, get out there and play more pinball!